We; the URU (United Riders Udupi) club members, who participated in this Mughal Road Motor Biking adventurous escapade, convey our very special thanks to Bushan Parimoo, who with his brilliance, planned our whole Motor Biking trip. He guided us up to the extent of where to stay at nights, which short cut and safe routes to take and in and around Kashmir valley, which violence disturbed areas to avoid. If not for him and his intelligent guidance, our trip would have not been so trouble free, economical, relaxed and awesomely enjoyable. Our sincere thanks to ALL OUR Own MOTOR BIKES, also. Because first of all they reached us all, safe and sound in one piece to our respective homes. The amazing thing is that though we traveled nearly 1,500 Km (One Thousand and Five Hundred Km.}. Can you believe that there was not even a single Minor or Major mechanical break down and also not even a single tyre puncture. It’s amazing. So Our Motor Bikes too deserve a Big THANKS. Note:-- We entered Kashmir valley from Mughal Road and came out from Synthan Pass on Kishtwar- Dooda Road. In ancient times, this formidable tough and treacherous mountainous terrains that now is called as the "Mughal Road", was seldom used, to reach Kashmir and was traversed by the Pious-Saints, Holly-Sages, divine Rishis & Munnis, Sufi- Peers & Phakeers, Soothsayers , Faith-healers, ambitious fortune explorers, the famous historians and the renowned Poets. And later it was traversed by the great Mughal Emperors, whose caravans of horses, elephants, camels and the royal foot soldiers, has left their legacy to continue to live on, with Mughal Gardens, magnificent palaces and splendid buildings of majestic-art and architecture of the Mughal era. Our motor Biking expedition through this amazing nerve breaking Mughal Road, will further lay an impression on our minds with the saga of those who ruled our country for nearly for four many centuries. Prior to the Mughal Emperors, to invade Kashmir, these formidable rugged terrains were used by brutal raiders, blood thirsty tribal chieftains, ruthless robbers, savage and merciless invaders and was also used by the King of Kings, the Alexandra the great. The proof of it is, because en-route on this Mughal Road, there is a small village that is named after the name of his one of the most favorite and personal horse, called as (Bunifales), who is supposed to have been buried in this village, that is now called as “Buffliaz”. There historic ruins, of the Lohar Kote fort, near Poonch, proves that to invade Kashmir, even Mohmood Gazanavi traveled this Mughal route. Which, then was called as Gateway of Kashmir. At this fort, Raja Trilochan Pal defeated Sultan Mohmood Gazanavi. On later dates, the road was historically used by the Mughal Emperors to conquer Kashmir during the sixteenth century. It was the route used by Akbar the Great to conquer Kashmir in 1586, and later frequently traversed for picnics and pleasures by his son Emperor Jahangir, who died on his way back from Kashmir at Sarai Sadabad in 1627. After his death, there were speculations of revolt by his heirs for the succession of the throne of Hindustan. To overcome this revolt, it was necessary to keep the secret of his death. So his body was preserved in Chingus & to avoid decaying, the entrails were removed and buried in the Chingus Fort, near Rajouri (Chingus means Intestines in Persian). Then his hey-stuffed body, in a sitting posture on a royal elephant was taken to Lahore, so that no one suspected that the King Jahangir was dead, till his rightful son Sahajahan was declared the future king of Hindustan. Later his body was transferred to Lahore to be buried in Shahdara Bagh, a suburb of Lahore, Punjab. 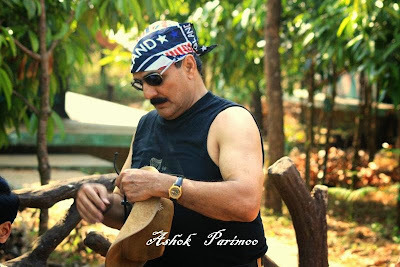 On 20th of July-2012, I, ASHOK PARIMOO along with my elder brother BUSHAN PARIMOO went to receive our “United Riders Udupi”, Club members KRISHNA HEBBAR, KIRAN KINNI, GANESH and ABHIMANYU AVABHRATH, who reached Jammu railway station by train from Udupi via Delhi, to participate in the Mughal Road adventurous escapade. From Jammu railway station we drove down straight to PARIMOO house at Talab-Tillo Jammu-Tawi, where all of us had planned to stay for two nights. After freshening up as well as after having Parimoo house's authentic Kashmiri delicious dinner, all of us slept deep, just like a dead wooden log. Next day morning after the breakfast, we went to collect our motor bikes from the transporter, through whom we had transported our motor bike from Udupi to Jammu. And then after collecting the our motor bikes, we left them at the motor bike mechanic's garage for the final mechanical mending. After that we went around Jammu city sight seeing. 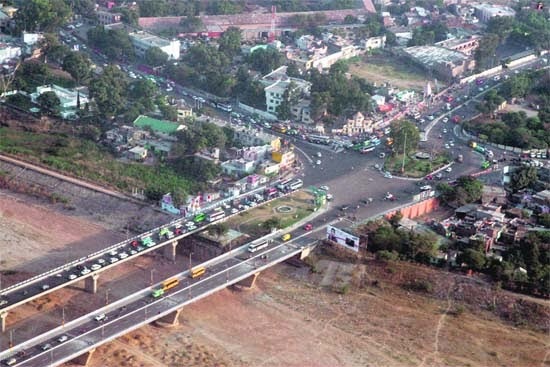 The city of JamMu, besides being the winter capital of the state of J & K, is also known as the city of temples. It is believed that Raja Jamboo Lochan originally founded the city in the 14th century. According to the popular legend, while the Raja was hunting one day, he happened to witness a tiger and a goat drinking water side by side from the river Tawi. He was so struck by this extraordinary phenomenon that he decided to build his Kingdom at this site so that the strong and the weak could live together in peace and mutual tolerance. Eventually, he founded the city, which came to be known as “JAMBOO” after his own name. The name later got anglicized to that of JAMMU, as it is called now. 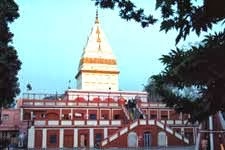 Raghunath Mandir is a nucleus of a group of temples. 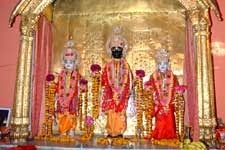 This temple is situated in the city centre and is dedicated to LORD RAMA. Maharaja Gulab Singh who founded the kingdom of Jammu & Kashmir initiated the intrivate work of the temple in 1835, which was completed in 1860 by his son, Maharaja Ranbir Singh. 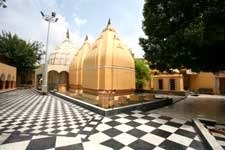 Among the temples in Jammu, this Raghunath Mandir temple takes the pride of the places being situated right in the heart of the city. Tis temple is 130 years old and this temple takes the pride of being the largest temple complex in Noth India. Situated at the city centre, the inner walls of the main temple are covered with Gold Sheets on the three sides, while the interiors of the temple are plated with Gold. There are many Galleries of SALLIGRAMAS. The temple is dedicated to the various GODS and GODDESSES connected with the epic RAMAYANA, which makes it rare holly place to behold. The temple consists of seven shrines, each with a tower of its own. The main sanctuary is dedicated to LORD VISHNU’S eighth incarnation, the RAMA. 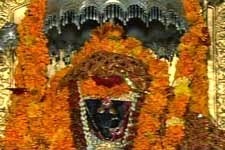 This Fort temple is dedicated to the GODDESS MAHAKALI. This fort is perhaps the oldest fort structure in Jammu and it is believed to be built by RAJA BAHULOCHAN, nearly 3,000 years ago. It is situated on the left bank of River Tawi. Inside the temple MAHAKALI is worshiped. This temple is supposed to be very powerful and who so ever prays here, their prayers are always fulfilled. Beware, around this temple complex there are more armies of monkeys than the devotees. And mind you these monkeys violently and furiously attack you to grab the eats from your hands. Better carry a long stick when you venture into the temple. Built bt MAHARAJ RANBIR SINGH in 1883, this temple is dedicated to LORD SHIVA. Housed in side the temple are 12 crystal Shivallingams called as “SPATIC SHIVALLINGAMS”, those are placed surrounding one long central spatic-lingam, which is 7.5 feet tall. Inside the temple any where you see, you find nothing other than thousands of Lingas of all sizes fixed all around in galleries slabs. At the centre of the inside temple, there is a huge black stone Linga which is easily more than 12 feet in height and six feet in diameter. Ranbir-Eshwar temple has it’s own legend, that whoever big problem you may have, once you pray there sincerely, your problems are solved. 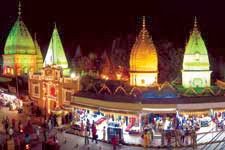 This famous temple is located on Shalamar road, right opposite to Jammu’s civil Secretariat. Just 5 Km away from Jammu city centre, on the out skirts of Jammu there is a cave shrine, where deep indise a narrow cave there is a shivallingam. According to a popular myth, there is are underground pathways in the cave those lead to many other caves shrines, in and out of the country. The PEER KHOH cave temple is at overlooking the river Tawi and it is widely believed That the RAMAYANA CHARACTER JAMVANT (the bear God), meditated in this cave. PANCHBAKHTAR (Five Faces) MAHADEV MANDIR, occuoies a unique place in Jammu City of temples. It is one of the oldest SHIVALYA’S in the city. Old tales and the local oral myth states that ADI SHANKARA ACHARYA, visited this site and meditated here. While some local lore’s believe that this temple was dismuch later, during the reign of RAJA MAL DEV, in early fourteenth century. The Lingam in this temple is self-manifested (AAP SHAMBHU). On the auspicious MAHA SHIVRATARI day, this place is thronged throughout the day with a sea of devotees. So on 21st of July, i.e. the day ONE of our tour, we roamed around Jammu city sight seeing. Good start of the account of the trip. Those delicacies photo at your brother's house is mouth watering. Good to now about these Temples in Jammu. Very informational with the historical background of the locale. I am enjoying the read along with the pictures depicting changes in Jammu - once my home town. Jammu was known for its temples-they seem to look the same after forty some years. Keep it up, Baiji. We can take a mental trip with your team through these blogs. God be with you all.